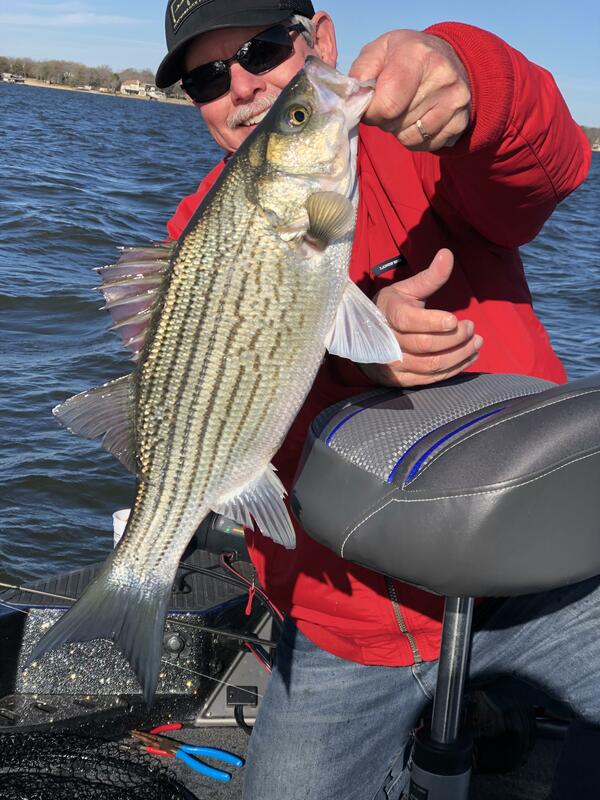 Register Log In Texas Fishing Forum Forums Whites - Hybrids - Striper Dead Sticking is on at CCL! Spent Saturday an Sunday hitting it hard on CCL. 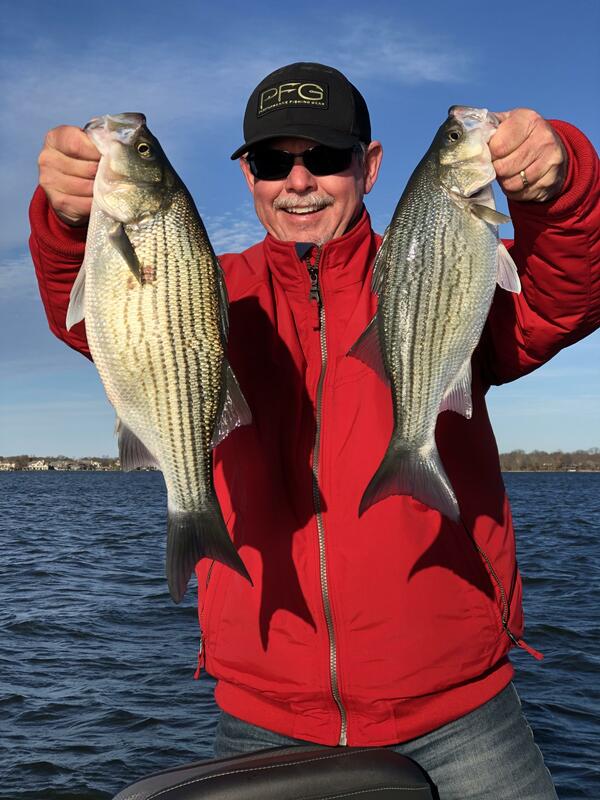 Lots of whitebass and several Hybrids between 16-19. The largest we caught was 22 1/2 and that was the one of the few that were over 20 inches. 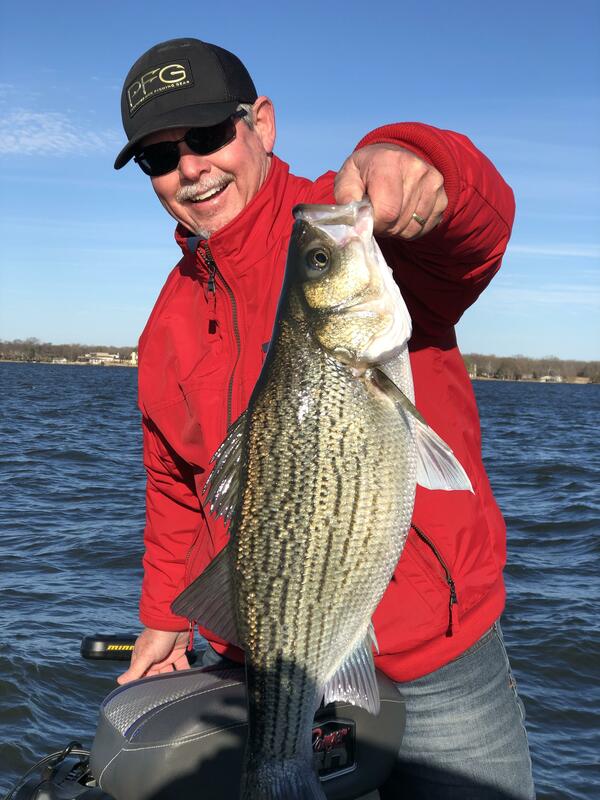 Water temps were 50-52 degrees and fishing n 40-45 ft with fish suspended at around 18-23 feet. Also just to note. Were using my BOBO Thumper and also pounding on the bottom of the boat with my PVC stick. Hate to be such a dope but is CCL Cedar Creek Lake? You’re not a dope lol and CCL does stand for cedar creek. I’ve been finding my hybrids about 18-25 feet deep suspended in open much deeper water as well. Curious if you’ve found them in larger numbers on sonar? I seem to find very scattered fish on my home lake and sometimes thumping gangs them up and I sometimes have an amazing trip, but I’m curious if maybe I just haven’t found them schooled up just yet and need to keep looking for the “sweet spot” or sweet area. Curious too if you find the hybrids in same area trip after trip or do they move anywhere and everywhere and you have to really search for them each trip? We found them in several different spots but all of them were suspended. 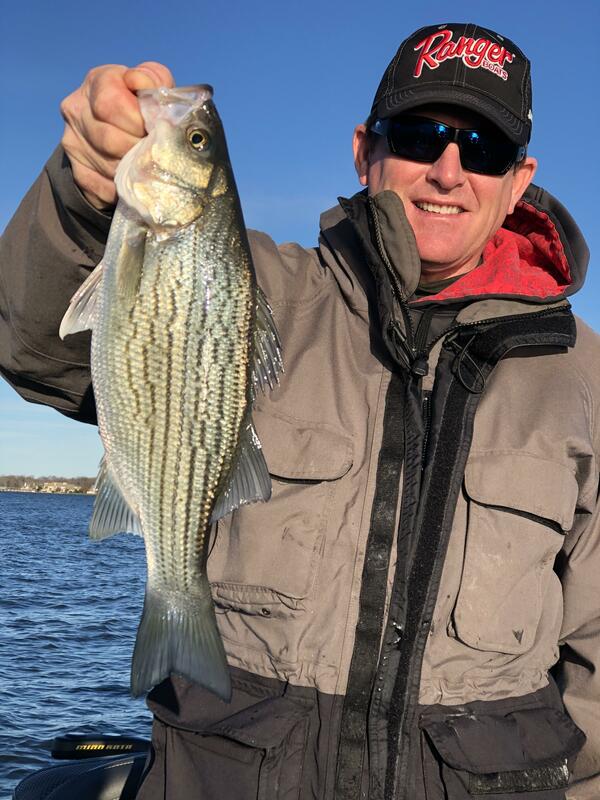 We had a spot yesterday where we caught 8 in a row but then it ended and all we could catch was white bass. Fish stratified bait . Drift fish it using your trolling motor to control speed. Best speeds are normally .4 to .5 wind sock is preferred, sometimes you have to use troller and go into wind. Start thumping in the bait, the fish will get called. Like annual clock work. Great pics! That’s so true! I’ve noticed the thumper seems to make a huge difference in winter. I honestly am not convinced it makes a big difference at other times of the year on my lake. I got to go fishing this morning as my Christmas present lol and I would stop on just one or two hybrids mixed in with shad. When I sootlocked and started thumping many times those one or two fish turned into several below the boat!